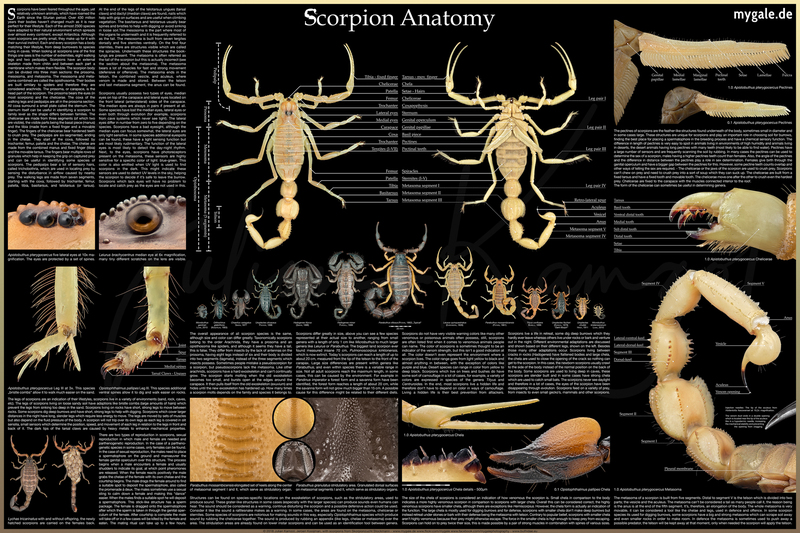 After over 8 months of international collaboration, I can finally present you the large scorpion anatomy poster! It’s a huge step forward in terms of quality and complexity. It contains over 30 images and over 2800 words written only for this poster! 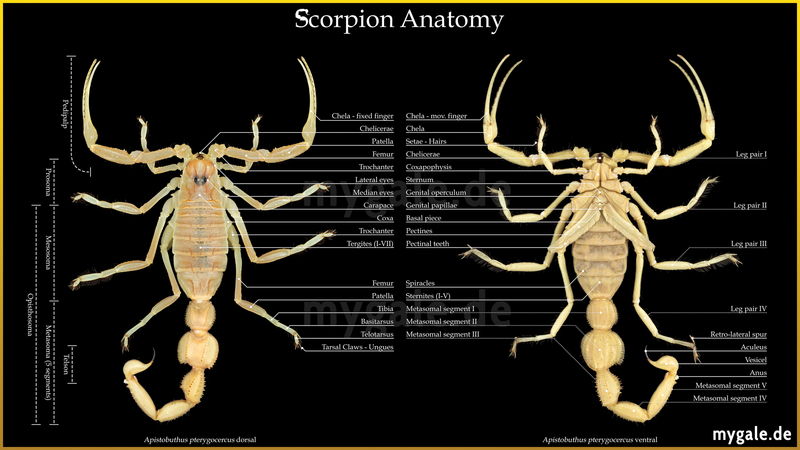 The texts were mainly written by the Dutch scorpion specialist Jeroen Kooijman (Chairman at the Dutch Scorpion Society). All scorpions are from the renowned German scorpion breeder Mark Stockmann (Skorpionzucht Stockmann). Thanks to Danniella Sherwood (UK), Tobias Hauke (DE), Michael Pankratz (USA) and Andrea (NL) for their additional proofreading and suggestions, last but not least Michiel Cozijn for one small text segment. Over 30 high-res macros, stacked from a total of over 880 single 42 megapixel images! Over 1120 Photoshop layers total! From behind the scenes: Every now and then I took screenshots of the development process over the last 8 months. The animation shows some of the processes which led to the final design. It’s best to focus on one segment and see how it develops over time.